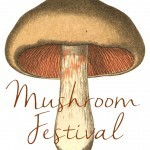 Our most popular event of the year, join us for a celebration of the fungus among us! An afternoon (2-5 PM) of wonderful delectables from a wide variety of mushrooms – Chantrelles, Porcini, Shitake, Hedgehogs, Black Trumpets, and more! From wood fired flatbreads to layered pates, there is a parade of mushroom inspired dishes, along with Bedford wine. Sign up now! You are currently browsing the Bedford Winery blog archives for January, 2017.